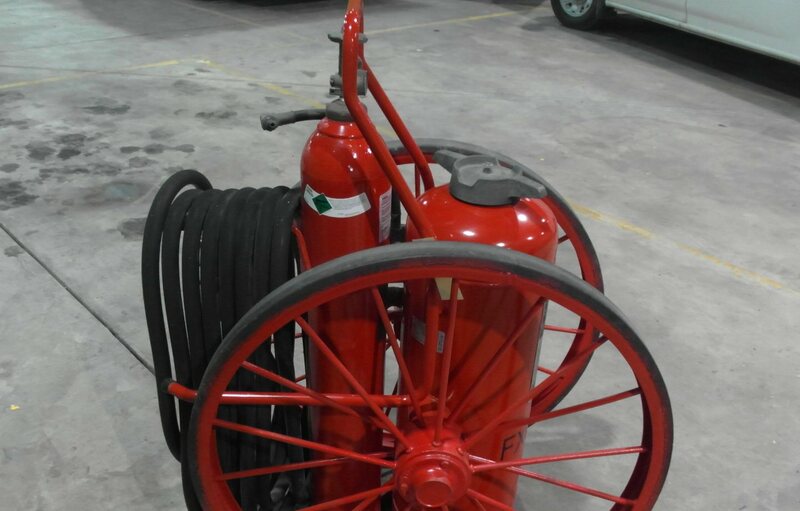 There are a variety of scenarios where their is a need to have a larger extinguishing unit than a normal 5 or 10# extinguisher. In these cases, wheeled unit extinguishers hold more extinguishing agent than a hand-held unit. Heavy-duty wheeled units are still portable and can easily be moved to the area of the fire and can be operated by one person. Off-shore oil platforms and more! 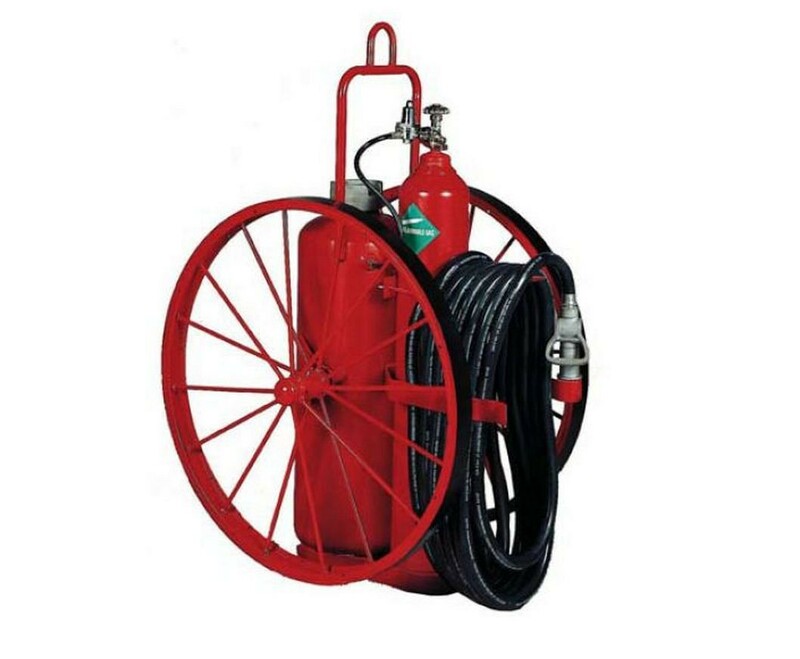 In some of the scenarios listed above, it may be extremely difficult, if not impossible, to install any type of fire suppression system, making the need for large, portable extinguishing units that much greater. These units allow for flexibility as they can be stored and moved as needed. These units have different types of wheels depending on the type of terrain where they will be used. There are also a number of different extinguishing agents that can be used. There are agents available for Class A, B, C and D fires. 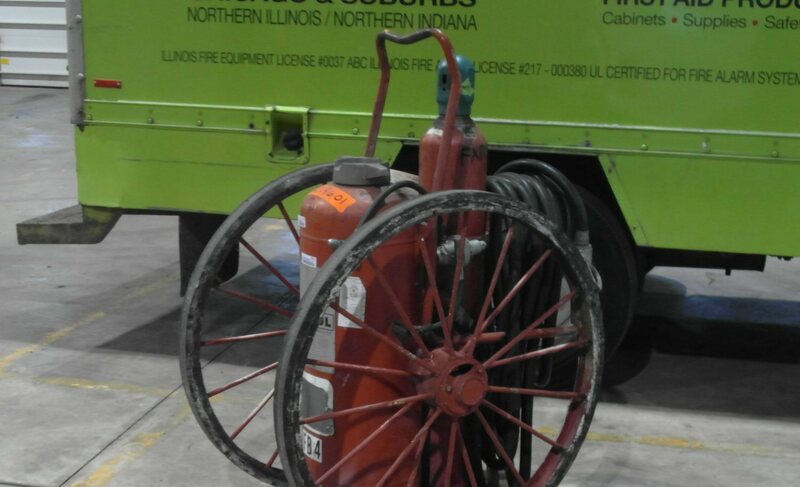 The professionals at Reliable Fire & Security are available to assist you with selecting the appropriate model and extinguishing agent for your facility. 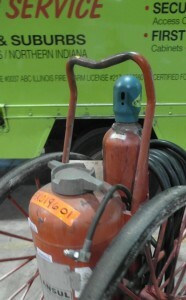 We are also able to assist with regular inspection, maintenance and recharging of these units. Reliable Fire is proud to provide refurbishing services for these units as well! 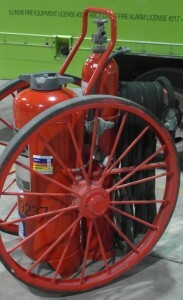 Wheeled Unit extinguishers are often subjected to harsh industrial environments. Extend the life of your unit by taking proper care and refurbishing the unit as needed. Check out these units before and after pictures. Call your representative today to find out more about this program.